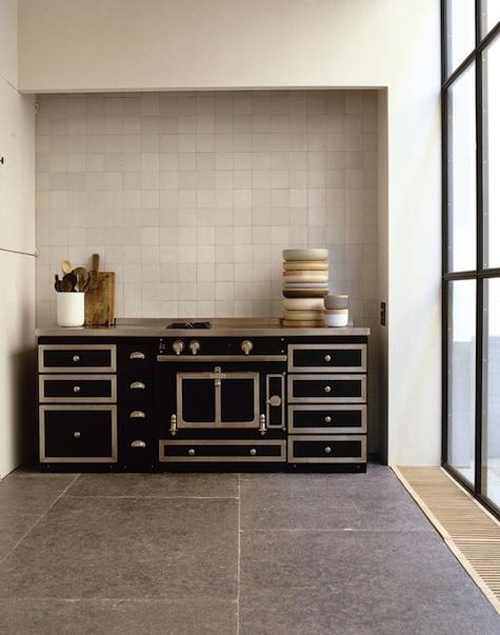 Today I’m loving this minimalistic kitchen from Antwerp (Belgium) based architect Vincent van Duysen. 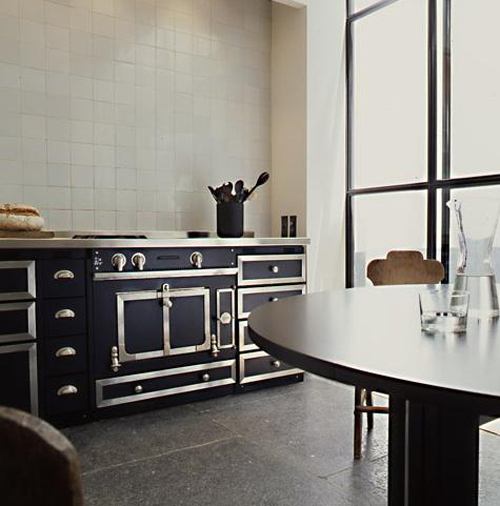 Isn’t that huge stove just gorgeous? Oh, I really love it! A really tidy and streamlined space like that would definitely inspire creativity for me in the kitchen. Wow, really catches the eye in the kitchen; just gorgeous! I would so love a stove like that, its amazing. I love that stove! But have to agree with Tricia, only two burners, perhaps a grill you can see from this angle. Not an Aga — I believe the range is a La Cornue. The French company makes both ranges and cabinetry to complement it. I believe it probably has a fry-top as well as the two burners. I don’t think there are gas burners and induction burners on the LC, but I do think some range manufacturers will be coming out with that, kind of like dual fuel ranges (gas burners + electric oven, which is great). HTH!